Niacet NIAPROOF® 08 is the first and only CleanGredients recognized 2-ethylhexyl sulfate product on the market. We are pleased to announce that Niacet Niaproof® Anionic Surfactant 08 has been granted CleanGredients® certification by the U.S. Environmental Protection agency. 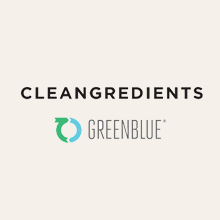 CleanGredients® formulation ingredients are approved for use in thousands of products with the Design for Environment (DfE) label. What is Niaproof® 08 Anionic Surfactant? Niacet Niaproof® Anionic Surfactant is a highly versatile alcohol sulfate used in numerous applications including; household & industrial cleaners, carpet cleaning solutions, surface cleaners, fountain solutions, fruit washes & metal processing. Niaproof® 08 Anionic Surfactant is an aqueous solution containing 40 percent by weight of sodium 2-ethylhexyl sulfate. It is a unique wetting assistant because of its solubility, stability, and penetrating action in strong acidic and alkaline solutions containing 10 to 20 percent of dissolved electrolyte.